The Benromach Distillery Company Ltd has announced the release of Benromach Peat Smoke Sherry Cask Matured (59.9% ABV),a rich and intense limited-batch expression. Carefully handcrafted using heavily peated Scottish barley, just 6,500 bottles are available in selected markets worldwide from 8th March 2019. With a beautiful dark amber hue from the time spent maturing in Sherry hogsheads, the whisky’s sweet flavours are balanced with a hint of white pepper, which gives way to dried fruits complemented by Sherry undertones. The lingering finish offers a seriously smoky edge. 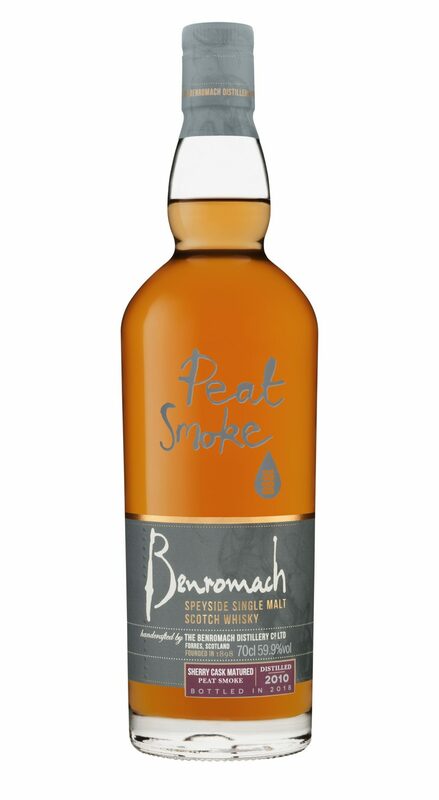 Keith Cruickshank, Benromach Distillery Manager, said: “This is the first time Benromach has released a Sherried Peat Smoke expression and we’re very proud of its unique flavour profile. This expression perfectly balances the smokiness with the sweeter Sherry notes, giving rise to a spectacularly rich and intense dram. Benromach Peat Smoke Sherry Cask Matured is presented in an elegant bottle with shapes and textures inspired by the Speyside distillery. The copper cut medallion on the packaging signifies the moment in time when the distillers cut to the sweet heart of the spirit run. 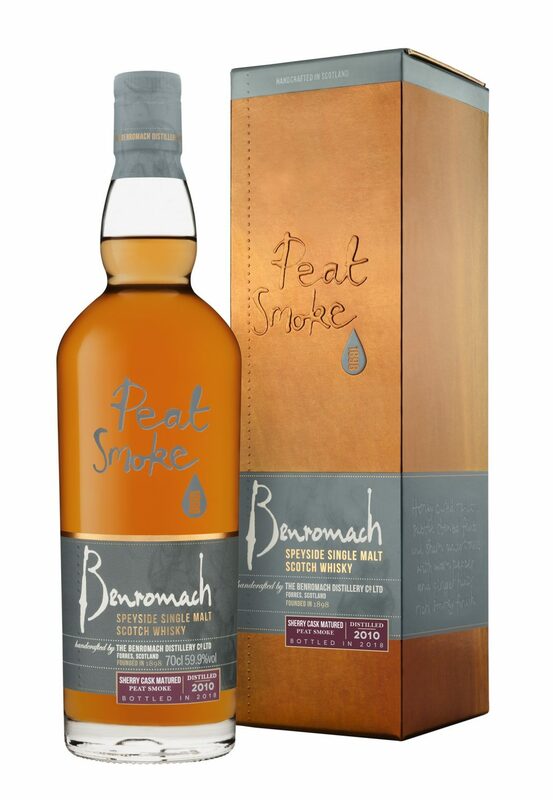 Benromach Peat Smoke Sherry Cask Matured has a recommended retail price (RRP) of €74.99 (£64.99). Prices in local markets will vary depending on local taxes and duty. Benromach is one of only a few distilleries in Scotland to use only traditional methods, without any automated machinery. The small team of distillers employ all their senses when crafting the classic Speyside single malt Scotch whiskies, managing the process by sight, sound and touch to create the unique, handcrafted and authentic Benromach taste. This June, the biggest names in whisky will converge in Central London for The Whisky World Whisky Event. Now in its second year, the evening provides a chance to enjoy the best that the industry has to offer in a luxurious, upmarket setting. This year’s event promises to be bigger and better than the first, with 55 leading and boutique distilleries converging on the Grosvenor House Hotel in Mayfair. The line-up includes several exciting debutants; distillers from as far afield as India, Taiwan and Israel will all be present for the first time, while Glenfarclas joins a prestigious roster of superstar scotches. The widely-applauded Nikka will also be on hand to demonstrate what’s gotten the industry so excited about the new wave of Japanese whiskies. All in all, more than 250 bottles have been painstakingly assembled – meaning a dram to appeal to every palate, whether you’re a veteran in search of brave new expressions, or a neophyte who can’t tell a Speyside from an Islay. Eagle-eyed Scotch-lovers will note the fortuitous timing of this year’s event – which falls just after Ardbeg Day. As such, the Caribbean-influenced Ardbeg Drum will be on show; it’s the distillery’s first rum-finished expression, and sure to attract considerable interest. The evening isn’t just for whisky purists, however! Peureux will be hosting a cocktail bar, where they’ll be showcasing a range of alcoholic fruit garnishes alongside the unique Golden Eight Pear Liqueur. A particular highlight of the evening will be the official launch of several exclusive whiskies, each carefully selected and bottled for The Whisky World’s Whisky Event. They’ll be served alongside home-style delicacies from specialist kosher chef, Ezri, whose menu comprises Asian, French, Mediterranean and Middle-Eastern style dishes, each crafted to complement the whiskies being showcased. And of course, alongside the food and drink, there’s the know-how to go with it: a hand-picked panel of world-class experts will lead a series of masterclasses, giving visitors the chance to sample the world’s most sought-after drams alongside some of the industry’s leading lights. 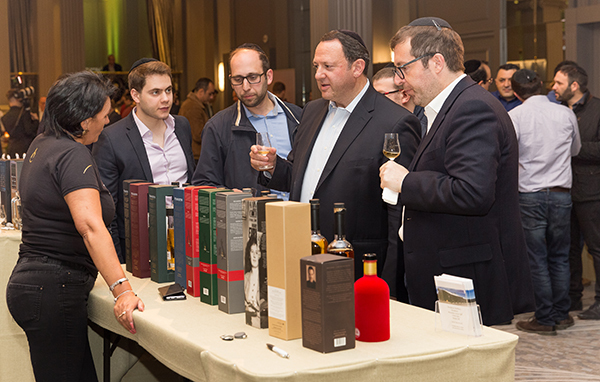 The Whisky Event by The Whisky World takes place 02 June 2019 at the exclusive Grosvenor House Hotel, Park Lane, London. Tickets are priced at £100 per person, with a 15% early bird discount until the end of March. Now in its second year, The Whisky Event is a celebration of whisky, held in London and organised by The Whisky World. The Whisky World is an upmarket online shopping experience that includes all popular whisky brands and liqueurs as well as premium spirits. The website features outstanding search facilities and a huge selection of special offers and discounts to its customers. 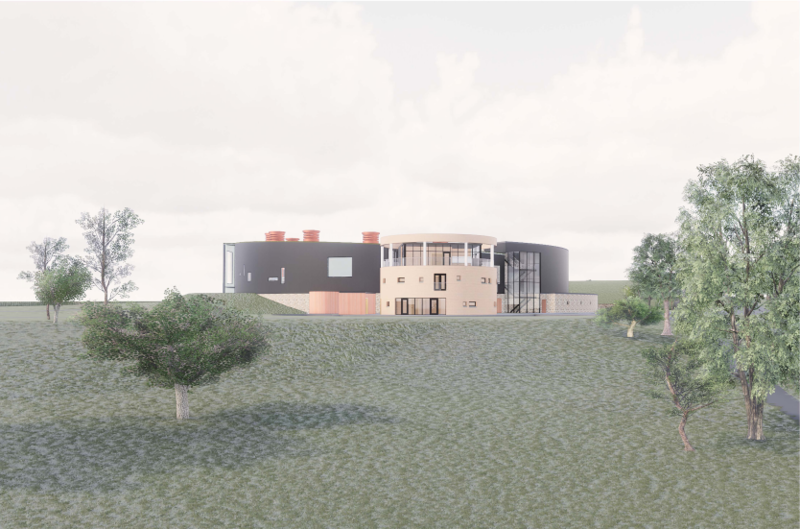 Gordon & MacPhail has unveiled images of the new distillery the company hopes to build in the Cairngorm National Park in Scotland. The distillery, which would be built at Craggan near Grantown-on-Spey, has been designed to take advantage of stunning views across the River Spey to the Cairngorm mountains. The circular design of the building would disguise much of the day to day working of the distillery within the service yard. Sedum roofs will help the buildings blend into the surrounding environment when viewed from higher ground. More than 150 people visited the exhibition and viewed the plans, which included computer generated images of the distillery and associated buildings. 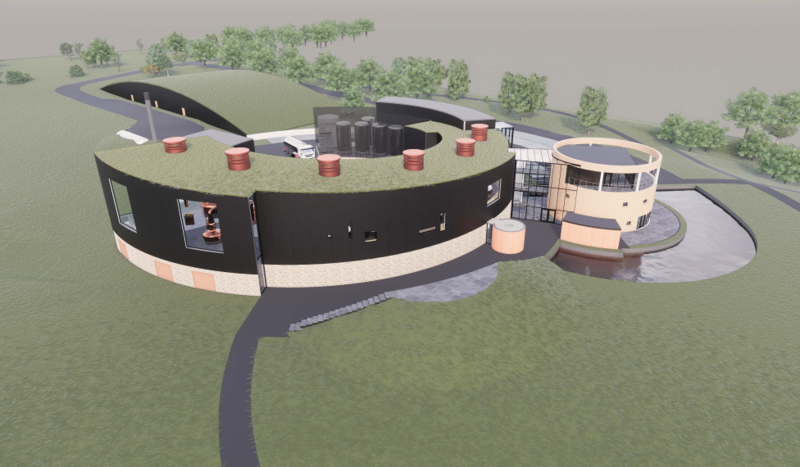 The family owned firm, who also own Benromach Distillery at Forres, announced last year that it hopes to build a second distillery at Craggan. 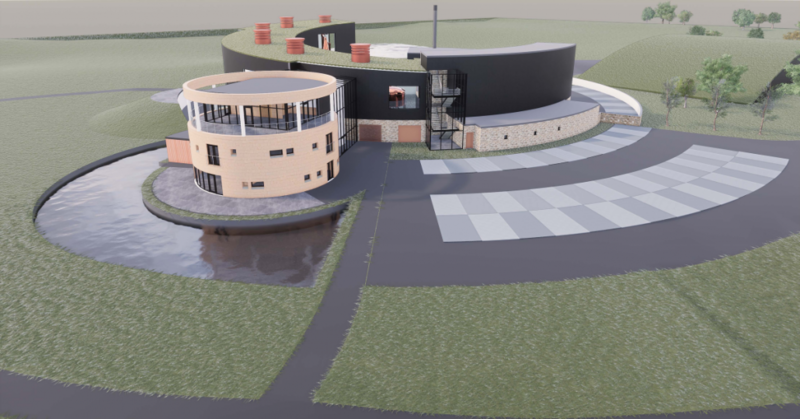 The production rate will start at 375,000 litres per year, although the distillery will be capable of producing 2 million litres of alcohol in the longer term. Gordon & MacPhail has been working closely with architects NORR to create the designs for the distillery, the first new build Scotch malt whisky distillery to be built in the Cairngorm National Park. Members of the fourth generation of the Urquhart family, owners of Gordon & MacPhail, were at the exhibition to hear the views of the local community and emphasise the company’s commitment to the area. Gordon & MacPhail is a family owned business which has built its knowledge and experience of the Scotch whisky industry over a 120-year history. 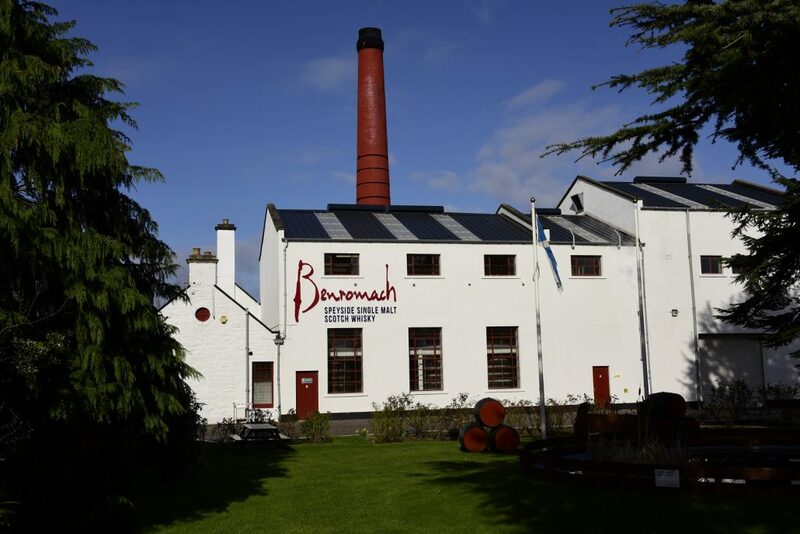 In 1993, the Urquhart family realised a long-held ambition when they acquired Benromach Distillery and reopened it after extensive refurbishment in 1998. A member of the world famous Malt Whisky Trail, Benromach Distillery attracts around 15,000 visitors to the area every year, a figure they aim to increase further with the opening of their Red Door Gin visitor experience this year. We’ve always believed at Malt Marketing that a picture tells a thousand words and well video yet more words still. When it comes to providing an insight into the world of the premium single malt, The Macallan never fail to disappoint as they continue to combine effective collaboration and a seemingly endless array of flair and creativity. The Benromach Distillery Company Ltd has announced the release of two Heritage expressions, Benromach Heritage 1977, an exclusive41-year-old single cask vintage (49.6% abv) and Benromach Heritage 1972, a rare 46-year-old single cask vintage (55.7% abv). Matured in single Refill American Hogsheads, these sought-after expressions are both available for worldwide sale from 21st February 2019. 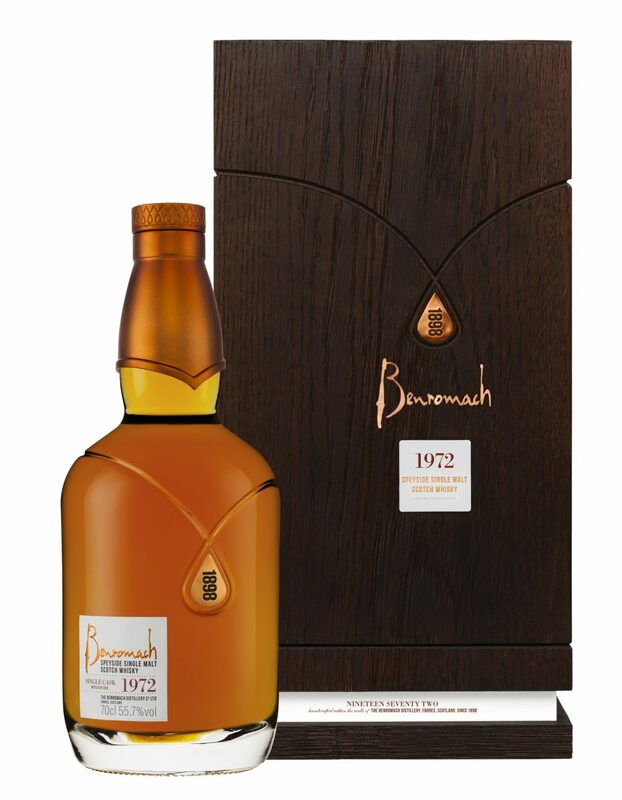 Benromach Heritage 1977 offers a smooth dram with hints of spice, while Benromach Heritage 1972 is brimming with exotic fruit flavours leading to an ashy smoke finish. Benromach Heritage 1977 displays flavours ofwarm apple pie, poached pear and hints of ginger, mixed with subtle floral notes complemented by rich apricot jam. Only 122 decanters of this single cask vintage were bottled from cask number 1269 on 8th October 2018. Also launching today, Benromach Heritage 1972has a golden amber hue with a tempting nose of vanilla custard, honey and tropical fruits, with intriguing hints of mature oak and an edge of fresh menthol. With lingering oak flavours and hints of smoke on the finish, just 75 decanters of this single cask vintage were bottled from cask number 4471 on 11th December 2018. Keith Cruickshank, Benromach Distillery Manager, said: “We’re proud to build on the popularity of previous Benromach vintage releases from the 1970s with these unique single cask bottlings that represent different moments in time from the distillery’s rich history. Benromach 1977 and 1972 will be available worldwide from 21st February 2019. 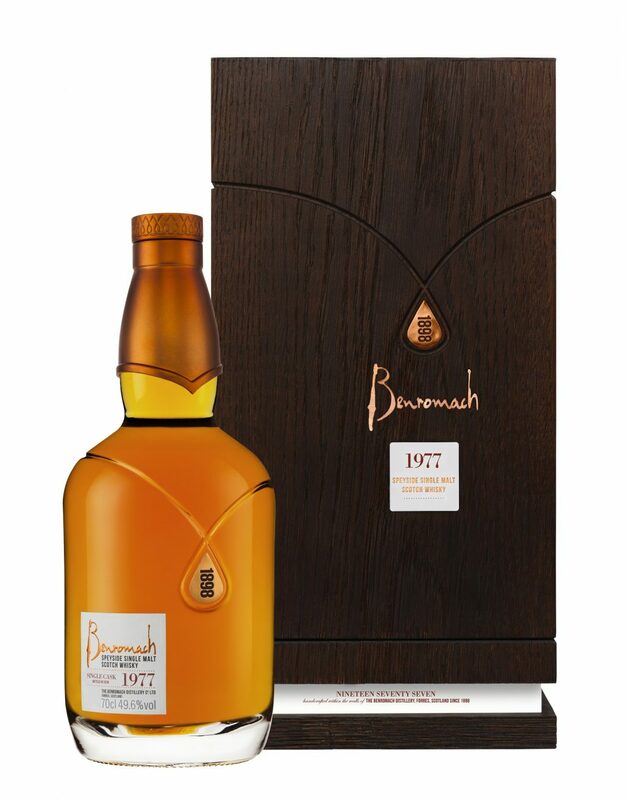 Benromach 1977 has a recommended retail price (RRP) of €1,500 (£1,250) whileBenromach 1972 has an RRP of €1,750 (£1,500). Prices in local markets will vary depending on local taxes and duty. For more information, images or interview requests, please contact Fiona Reyner or Annie Diamond on benromach@mucklemedia.co.uk or via phone 0131 228 9713.